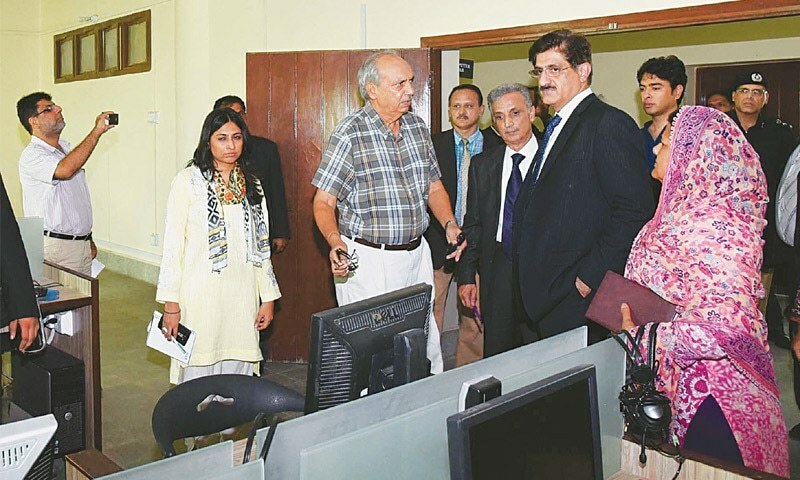 vKARACHI: Sindh Chief Minister Syed Murad Ali Shah on Thursday highlighted the need to use prisons as corrections houses by engaging its inmates in sports, industrial labour and educational activities. He asked the inspector general of prisons to prepare a plan for shifting jail inmates to an open jail in Badin, spread over 2,000 acres, where Sindh Agriculture University, Tando Jam, could also be used to teach them new cropping methods, gardening and other trades which would help rehabilitate them and turn away from crime. The chief minister, who was presiding over a meeting at the New Sindh Secretariat regarding conditions of prisons and to review the progress of 20 ATC buildings under construction in Sindh, said the jail department and law teams including other institutions concerned would have to work with him to achieve this. 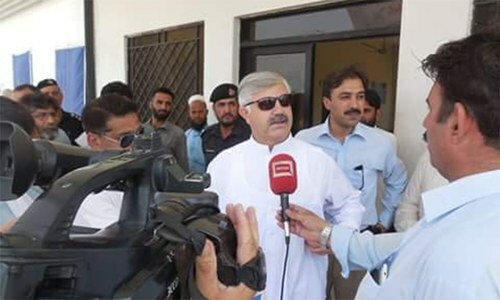 Referring to the issue of overcrowding inmates in all 25 prisons of the province, the CM said such problems could only be solved if all the prisons under construction, apart from functionalising the Open Jail, Badin, are completed. He also directed him to prepare schemes for construction of prisons in District West, Gaghar Phatak, and Deh Theming Malir where 200, 330 and 240 acres land respectively have already been allotted for the purpose. He also suggested the chief secretary to prepare a plan to build new jails in Mithi and Umerkot districts. The chief minister also directed the chief secretary to send him the proposal to bring salaries of the prison department force at par with Sindh police. “A similar compensation policy would also be made for the prison force,” the chief minister added. Earlier IG-Prisons Nusrat Mangan, briefing the chief minister, said that there are 25 jails in the province with a capacity of 12,245 against which 20,308 prisoners have been accommodated. Giving a breakup of the inmates, he said out of 20,308 prisoners, 15,061 are under trial, 3,766 convicted, 489 condemned, 429 detained among others. He said that the number of female prisoners is 249, of them 48 are convicted, three condemned, 189 under trial. He added that the number of juvenile prisoners are 283, of them 15 are convicted and 268 are under trial. Answering another question, the IG said that the ratio of production of prisoners in the court is Karachi region was 69 per cent. It was 98 per cent in Hyderabad region and 97 per cent in Sukkur region. The chief minister has said that with the hard work of law enforcement agencies (LEA) Karachi is being purged of terrorists, outlaws, target killers and now of illegal arsenal through extensive intelligence work and targeted operation. While talking to DG Rangers and IG Police at CM House on Thursday, the chief minister discussed the overall law and order situation, particularly security arrangements during Ashura with DG Rangers and IG police during his separate meetings with them. Director General Rangers Major General Bilal Akbar briefed the chief minister on the targeted operation, operation against banned outfits and the arrests made so far. The chief minister and the DG Rangers also discussed the recovery of a heavy cache of arms and ammunition weapons from a house at Azizabad. Inspector General of Police A.D. Khwaja called on the chief minister and discussed the seizure of weapons from a house at Azizabad in the largest quantity ever recovered. Murad Ali Shah directed the IG police to give a detailed report on the recovery of weapons covering all aspects right from information received about the illegal arsenal, the make of the weapons, quality, quantity, storage status; whether it was a water tank or illegal arsenal, for how long had been the weapons there; whether the recovered guns were used or not. “I appreciate the effort and capacity of the police but you have to give me a detailed report,” he said. The IG police assured the chief minister that he would submit a detailed investigative type of report to him most probably after Ashura. He also briefed the chief minister on the deployment of Rangers during Muharram processions and majalis in the city and in other parts of the province, as well as the coordination with other agencies.